Tennis elbow does not limit to tennis player. In fact, most of my tennis elbow clients do not play tennis. They may be housewife who do a lot of cleaning job, may be chef who need to hold wok for frying food, may be working at printing industry etc. The medical name of tennis elbow is lateral epicondylitis. 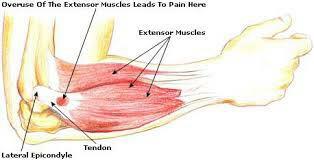 The tendon of the muscle at the forearm attached to the elbow bone becomes inflamed after repeated overuse. 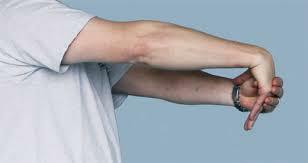 The symptom is pain at elbow, especially lifting some weight with the hand, swollen at the elbow. 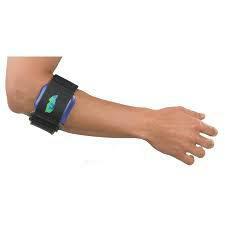 Treatment of tennis elbow is rest, pain relief, protection, and stretching. The client must reduce the works which lead to the pain. At the same time, he should wear a strap to support the muscle when working. Stretching the muscle and rest at the break of work is important. At the end of the day, he should use ice to reduce the pain. Ice can be in the form of ice cube massage x 3-5 minutes, or ice pack x 20 minutes. 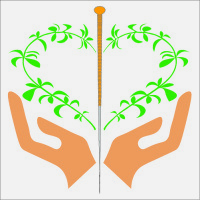 Treatment with acupuncture, ultrasound, and massage can help to reduce pain, and inflammation. In order to avoid recurrence, one should add strengthening exercise, and continue stretching exercise for quite a long period of time. Avoiding overuse is also crucial to prevent recurrence. Without proper treatment, the epicondylitis will become chronic and also may include the elbow joint which will become arthritis. This stage is difficult to manage.